For the third consecutive year, the spirit elaborated by the Corporation Cuba Ron S.A. obtains the Medal of Superior Quality Taste Award, in the prestigious contest organized by the iTQi. The three golden stars obtained with regard to aroma, taste and appearance exams enable the product to obtain the Crystal Taste Award, a prize that recognizes this condition. The success of the Isla del Tesoro has been great during the blind evaluations carried out annually by three panels of different international judges, each time obtaining a score higher than 90%.Made in the emblematic rum-houses of Santiago de Cuba, it is presented in a wooden chest built to mimic those of pirates and corsairs. 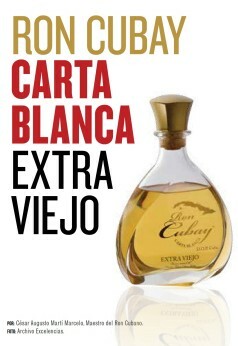 In 2014 it received the Packaging Design Award, as well as the Gold Medal for Quality during the FIHAV.The drink is kept in a ceramic bottle, and its quality is such that for decades it was only used for Commander Fidel Castro to give it as gifts from the State Council. According to the Cuban Rum Master, Julio Ayan, it was not marketed until 2012 when it was decided to bring a limited number of bottles to market.Isla del Tesoro is considered a jewel of the liquor tradition of the Greater of the Antilles. This product is designed to evoke the liquor drunk in the seventeenth and eighteenth centuries, but unlike that, is very aged and treated with care, receiving the inheritance of several generations of rum masters, who have developed and mixed aged bases impregnated by the white oak wood of barrels used for almost 100 years.Hundreds of small and large companies from more than 131 countries have participated in the Superior Taste Awards. The 15 most prestigious culinary institutions of Europe collaborate in the jury of the event, among them: the Maîtres Cuisiniers de France, the Academy of Culinary Arts, the Hellenic Chefs Association, the Verband der Köche Deutschlands, the Federation of Associations of Chefs of Spain, the Italian Federerazione dei Cuochi, the Associação de Cozinheiros Profissionais de Portugal, the Turkish Cooks Association, and the World Master Chefs Society (WMCS).